Medicine has become so replete with financial conflicts of interest, it becomes very hard to sort out what the ethical standards are these days. Yesterday, the NY Times told us that the AMA put out a warning to doctors that doctors' primary responsibility is to the patient and not to their employer. In other words, they should not necessarily use their employer's network of specialists, labs and radiology services if these are not the best for the patient. "With hospitals buying up medical practices around the country and seeking to make the most of their investment, the American Medical Association reached out to doctors this week to remind them that patient welfare must always come first and not be overridden by the economic interests of hospitals that now employ doctors in ever-growing numbers. Sounds good, but whether or not they were formally told what to do, every employed doctor knows who is and who is not in their acceptable referral network. They know who the competition is and where not to send patients. We need a lot more clarity than what the AMA provides. Are we supposed to use the prescribed network unless we think it will kill the patient? Where is the line being drawn? And what did anyone expect when government incentives led hospitals to expand and buy up doctors' practices? The change in the handbook, which could have significant financial implications for the $10 billion U.S. antidepressant market, was developed in large part by people affiliated with the pharmaceutical industry, an examination of financial disclosures shows. The financial ties between the creators of the APA handbook and the industry far exceed limits recommended in 2009 by the Institute of Medicine, a branch of the National Academy of Sciences. Yet APA committee chair Jan Fawcett, who handpicked the other committee members, has a different take on things. According to the WaPo, "He likened the financial restrictions to 'a financial colonoscopy,'” and "He was skeptical of efforts to reduce the financial ties to industry. “It has gotten to be a witch hunt,” Fawcett said. 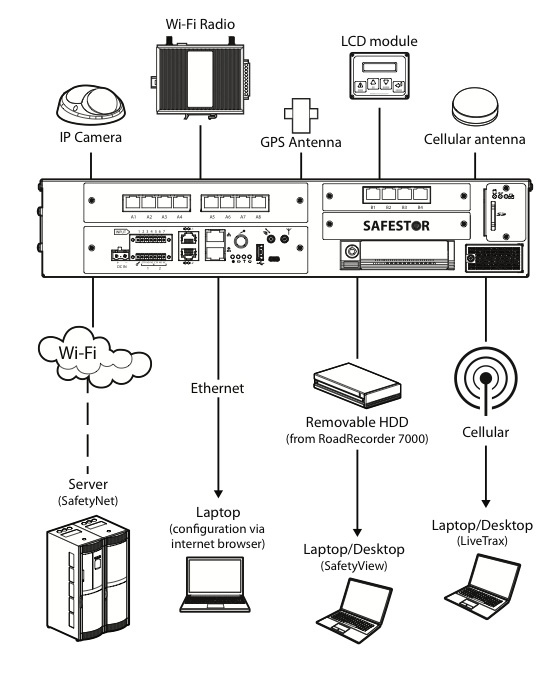 ... Cities that have installed the systems or have taken steps to procure them include San Francisco, California; Eugene, Oregon; Traverse City, Michigan; Columbus, Ohio; Baltimore Maryland; Hartford, Connecticut; and Athens, Georgia. Not everyone was on board. "This is a sea change in the way that the government interacts with the general public," Mary Ellen Callahan, chief privacy officer of the Department of Homeland Security, argued in the meeting, according to people familiar with the discussions. Now, NCTC can copy entire government databases—flight records, casino-employee lists, the names of Americans hosting foreign-exchange students and many others. The agency has new authority to keep data about innocent U.S. citizens for up to five years, and to analyze it for suspicious patterns of behavior. Previously, both were prohibited. Data about Americans "reasonably believed to constitute terrorism information" may be permanently retained. 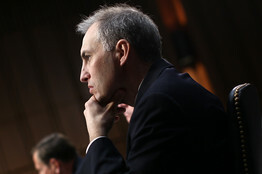 National Counterterrorism Center Director Matthew Olsen testifies before the Senate Select Committee on Intelligence on Capitol Hill in January. "It's breathtaking" in its scope, said a former senior administration official familiar with the White House debate. 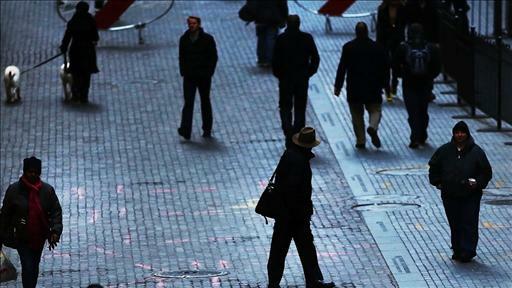 Counterterrorism officials say they will be circumspect with the data. "The guidelines provide rigorous oversight to protect the information that we have, for authorized and narrow purposes," said Alexander Joel, Civil Liberties Protection Officer for the Office of the Director of National Intelligence, the parent agency for the National Counterterrorism Center. The Fourth Amendment of the Constitution says that searches of "persons, houses, papers and effects" shouldn't be conducted without "probable cause" that a crime has been committed. But that doesn't cover records the government creates in the normal course of business with citizens. Congress specifically sought to prevent government agents from rifling through government files indiscriminately when it passed the Federal Privacy Act in 1974. The act prohibits government agencies from sharing data with each other for purposes that aren't "compatible" with the reason the data were originally collected. The Wall Street Journal is conducting a long-running investigation into the profound transformation of personal privacy in America. Companies today are increasingly tying people's real-life identities to their online browsing habits. Plus, the global surveillance bazaar , a secretive phone-tracking "stingray" and RapLeaf's clever way of figuring out Web surfers' real names . But the Federal Privacy Act allows agencies to exempt themselves from many requirements by placing notices in the Federal Register, the government's daily publication of proposed rules. In practice, these privacy-act notices are rarely contested by government watchdogs or members of the public. "All you have to do is publish a notice in the Federal Register and you can do whatever you want," says Robert Gellman, a privacy consultant who advises agencies on how to comply with the Privacy Act. As a result, the National Counterterrorism Center program's opponents within the administration—led by Ms. Callahan of Homeland Security—couldn't argue that the program would violate the law. Instead, they were left to question whether the rules were good policy. 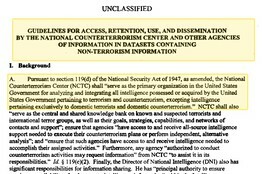 Under the new rules issued in March, the National Counterterrorism Center, known as NCTC, can obtain almost any database the government collects that it says is "reasonably believed" to contain "terrorism information." The list could potentially include almost any government database, from financial forms submitted by people seeking federally backed mortgages to the health records of people who sought treatment at Veterans Administration hospitals. Previous government proposals to scrutinize massive amounts of data about innocent people have caused an uproar. In 2002, the Pentagon's research arm proposed a program called Total Information Awareness that sought to analyze both public and private databases for terror clues. It would have been far broader than the NCTC's current program, examining many nongovernmental pools of data as well. "If terrorist organizations are going to plan and execute attacks against the United States, their people must engage in transactions and they will leave signatures," the program's promoter, Admiral John Poindexter, said at the time. "We must be able to pick this signal out of the noise." Adm. Poindexter's plans drew fire from across the political spectrum over the privacy implications of sorting through every single document available about U.S. citizens. Conservative columnist William Safire called the plan a "supersnoop's dream." Liberal columnist Molly Ivins suggested it could be akin to fascism. Congress eventually defunded the program. The National Counterterrorism Center's ideas faced no similar public resistance. For one thing, the debate happened behind closed doors. 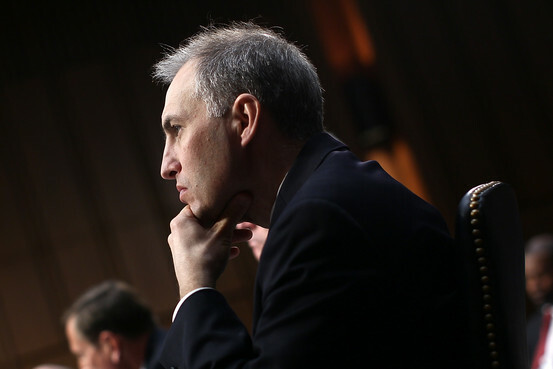 In addition, unlike the Pentagon, the NCTC was created in 2004 specifically to use data to connect the dots in the fight against terrorism. Even after eight years in existence, the agency isn't well known. "We're still a bit of a startup and still having to prove ourselves," said director Matthew Olsen in a rare public appearance this summer at the Aspen Institute, a leadership think tank. The agency's offices are tucked away in an unmarked building set back from the road in the woodsy suburban neighborhood of McLean, Va. Many employees are on loan from other agencies, and they don't conduct surveillance or gather clues directly. Instead, they analyze data provided by others. The agency's best-known product is a database called TIDE, which stands for the Terrorist Identities Datamart Environment. TIDE contains more than 500,000 identities suspected of terror links. Some names are known or suspected terrorists; others are terrorists' friends and families; still more are people with some loose affiliation to a terrorist. 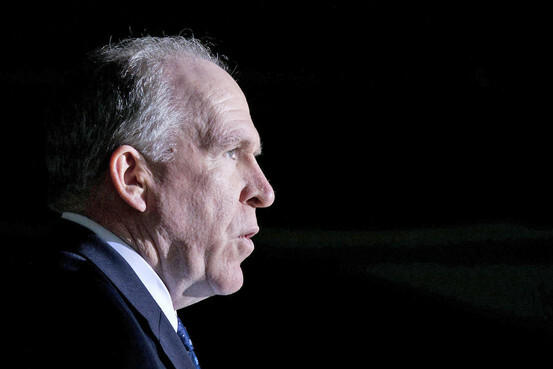 Intelligence officials met at the White House in March to discuss the NCTC proposal with John Brennan, the president's chief counterterrorism adviser. TIDE files are important because they are used by the Federal Bureau of Investigation to compile terrorist "watchlists." These are lists that can block a person from boarding an airplane or obtaining a visa. The watchlist system failed spectacularly on Christmas Day 2009 when Umar Farouk Abdulmutallab, a 23-year-old Nigerian man, boarded a flight to Detroit from Amsterdam wearing explosives sewn into his undergarments. He wasn't on the watchlist. He eventually pleaded guilty to terror-related charges and is imprisoned. His bomb didn't properly detonate. However, Mr. Abdulmutallab and his underwear did alter U.S. intelligence-gathering. A Senate investigation revealed that NCTC had received information about him but had failed to query other government databases about him. In a scathing finding, the Senate report said, "the NCTC was not organized adequately to fulfill its missions." 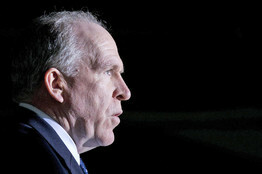 "This was not a failure to collect or share intelligence," said John Brennan, the president's chief counterterrorism adviser, at a White House press conference in January 2010. "It was a failure to connect and integrate and understand the intelligence we had." As result, Mr. Obama demanded a watchlist overhaul. Agencies were ordered to send all their leads to NCTC, and NCTC was ordered to "pursue thoroughly and exhaustively terrorism threat threads." Quickly, NCTC was flooded with terror tips—each of which it was obligated to "exhaustively" pursue. By May 2010 there was a huge backlog, according a report by the Government Accountability Office. Legal obstacles emerged. 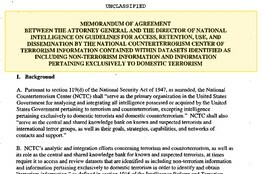 NCTC analysts were permitted to query federal-agency databases only for "terrorism datapoints," say, one specific person's name, or the passengers on one particular flight. They couldn't look through the databases trolling for general "patterns." And, if they wanted to copy entire data sets, they were required to remove information about innocent U.S. people "upon discovery." But they didn't always know who was innocent. A person might seem innocent today, until new details emerge tomorrow. "What we learned from Christmas Day"—from the failed underwear bomb—was that some information "might seem more relevant later," says Mr. Joel, the national intelligence agency's civil liberties officer. "We realized we needed it to be retained longer." After 30 days, a Homeland Security team visited and found that the data hadn't yet been removed. In fact, NCTC hadn't even finished uploading the files to its own computers, that person said. It can take weeks simply to upload and organize the mammoth data sets. Homeland Security granted a 30-day extension. That deadline was missed, too. So Homeland Security revoked NCTC's access to the data. To fix problems like these that had cropped up since the Abdulmutallab incident, NCTC proposed the major expansion of its powers that would ultimately get debated at the March meeting in the White House. It moved to ditch the requirement that it discard the innocent-person data. And it asked for broader authority to troll for patterns in the data. 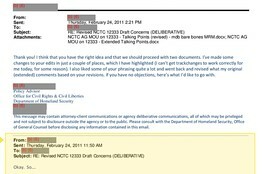 As early as February 2011, NCTC's proposal was raising concerns at the privacy offices of both Homeland Security and the Department of Justice, according to emails reviewed by the Journal. Privacy offices are a relatively new phenomenon in the intelligence community. Most were created at the recommendation of the 9/11 Commission. Privacy officers are often in the uncomfortable position of identifying obstacles to plans proposed by their superiors. 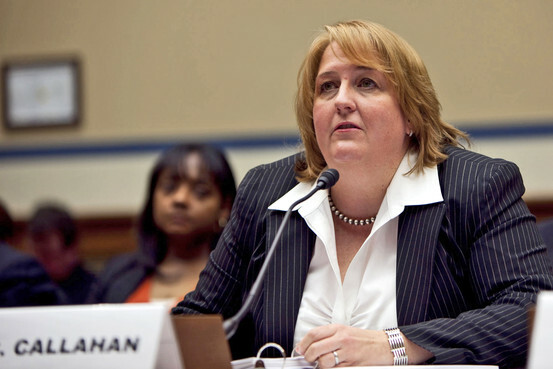 At the Department of Justice, Chief Privacy Officer Nancy Libin raised concerns about whether the guidelines could unfairly target innocent people, these people said. Some research suggests that, statistically speaking, there are too few terror attacks for predictive patterns to emerge. The risk, then, is that innocent behavior gets misunderstood—say, a man buying chemicals (for a child's science fair) and a timer (for the sprinkler) sets off false alarms. An August government report indicates that, as of last year, NCTC wasn't doing predictive pattern-matching. The internal debate was more heated at Homeland Security. Ms. Callahan and colleague Margo Schlanger, who headed the 100-person Homeland Security office for civil rights and civil liberties, were concerned about the implications of turning over vast troves of data to the counterterrorism center, these people said. They and Ms. Libin at the Justice Department argued that the failure to catch Mr. Abdulmutallab wasn't caused by the lack of a suspect—he had already been flagged—but by a failure to investigate him fully. So amassing more data about innocent people wasn't necessarily the right solution. 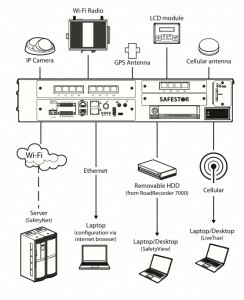 The most sensitive Homeland Security data trove at stake was the Advanced Passenger Information System. It contains the name, gender, birth date and travel information for every airline passenger entering the U.S. 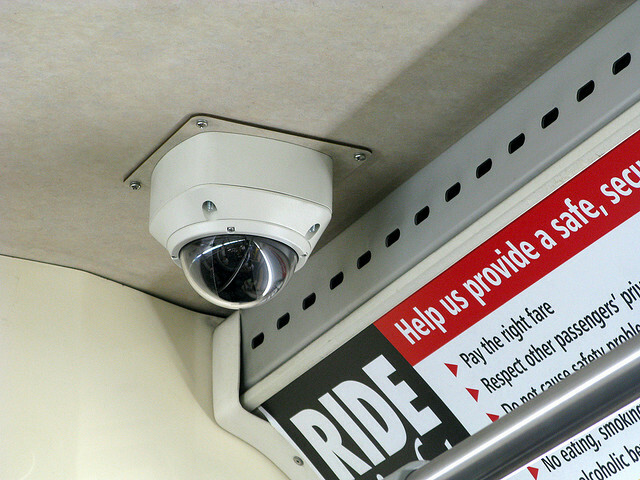 Previously, Homeland Security had pledged to keep passenger data only for 12 months. But NCTC was proposing to copy and keep it for up to five years. Ms. Callahan argued this would break promises the agency had made to the public about its use of personal data, these people said. Discussions sometimes got testy, according to emails reviewed by the Journal. In one case, Ms. Callahan sent an email complaining that "examples" provided to her by an unnamed intelligence official were "complete non-sequiturs" and "non-responsive." In May 2011, Ms. Callahan and Ms. Schlanger raised their concerns with the chief of their agency, Janet Napolitano. They fired off a memo under the longwinded title, "How Best to Express the Department's Privacy and Civil Liberties Concerns over Draft Guidelines Proposed by the Office of the Director of National Intelligence and the National Counterterrorism Center," according to an email obtained through the Freedom of Information Act. The contents of the memo, which appears to run several pages, were redacted. The two also kept pushing the NCTC officials to justify why they couldn't search for terrorism clues less invasively, these people said. "I'm not sure I'm totally prepared with the firestorm we're about to create," Ms. Schlanger emailed Ms. Callahan in November, referring to the fact that the two wanted more privacy protections. Ms. Schlanger returned to her faculty position at the University of Michigan Law School soon after but remains an adviser to Homeland Security. To resolve the issue, Homeland Security's deputy secretary, Jane Holl Lute, requested the March meeting at the White House. 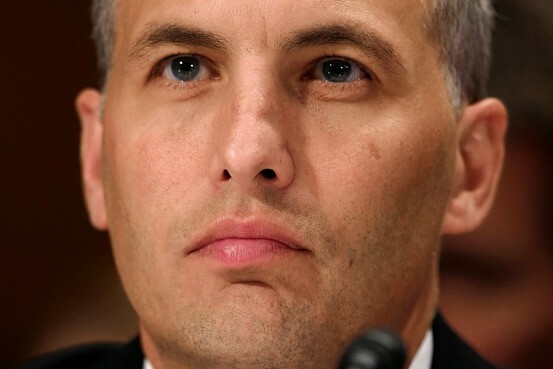 The second in command from Homeland Security, the Justice Department, the FBI, NCTC and the office of the director of national intelligence sat at the small conference table. Normal protocol for such meeting is for staffers such as Ms. Callahan to sit against the walls of the room and keep silent. By this point, Ms. Libin's concern that innocent people could be inadvertently targeted had been largely overruled at the Department of Justice, these people said. Colleagues there were more concerned about missing the next terrorist threat. That left Ms. Callahan as the most prominent opponent of the proposed changes. In an unusual move, Ms. Lute asked Ms. Callahan to speak about Homeland Security's privacy concerns. Ms. Callahan argued that the rules would constitute a "sea change" because, whenever citizens interact with the government, the first question asked will be, are they a terrorist? Mr. Brennan considered the arguments. And within a few days, the attorney general, Eric Holder, had signed the new guidelines. The Justice Department declined to comment about the debate over the guidelines. Under the new rules, every federal agency must negotiate terms under which it would hand over databases to NCTC. This year, Ms. Callahan left Homeland Security for private practice, and Ms. Libin left the Justice Department to join a private firm. Once the terms are set, Homeland Security is likely to post a notice in the Federal Register. The public can submit comments to the Federal Register about proposed changes, although Homeland Security isn't required to make changes based on the comments.